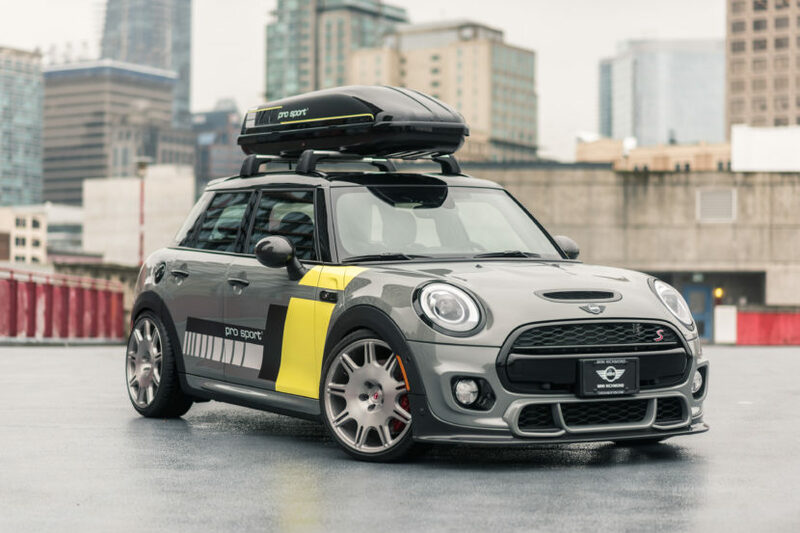 MINI Richmond and Performance One partnered up to create one of the fastest MINI’s to hit the market with top-end performance parts from across the world—the MINI ProSport1 is the first of its kind in Canada. 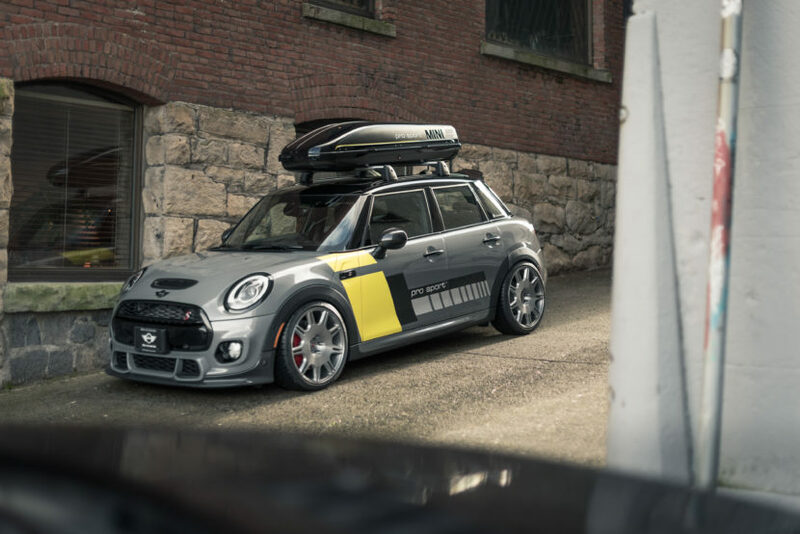 Starting off life as a run of the mill F55 MINI Cooper S 5 Door, the ProSport1 comes with a completely fresh take on the outside as well as a befitting upgrade under the hood. The project kicked off in the fall of 2017 and was spearheaded by Mike Lugni, Store Manager, Performance One and his team. Therefore, the guys set off to add a couple of unique touches to the MINI and see how the hatchback would shape up after they were done. The car got new 19″ custom Vossen wheels wrapped in Michelin Pilot Sport 4S performance tires to make sure there’s plenty of grip available. Then came a 3D Design carbon fiber kit which includes the front bumper lip, rear diffuser and rear spoiler add-on. IND Distribution provided a custom cosmetic package for the car with dark tinted front side markers, door handles, fuel cap, and front and rear emblems which match the JCW elements on it as well. Under the hood the car got a new ECU map from BPM Sport along with a couple of hardware changes like a new intercooler from Forge Motorsport, a new intake from AWE Tuning and a new exhaust from Supersprint. The suspension was also upgraded with a Bilstein kit and the brakes were swapped for JCW ones. In the end, we’re left with quite the brute and definitely a unique build which should turn a lot of heads.